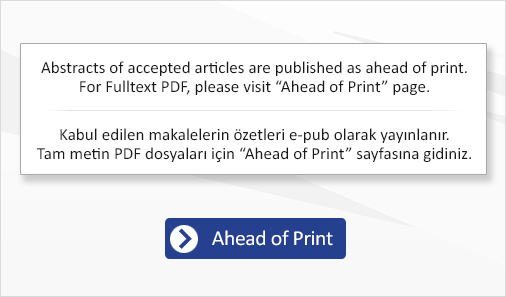 Abstracts of accepted articles are published as ahead of print. If you need Fulltext PDF document, please make payment as 400 TRY to the following bank account and contact us by clicking link below. Can Serial Measurement Enhance the Diagnostic Value of Procalcitonin as a Marker of Gram-Negative Bacteremia in Children with Acute Leukemia?